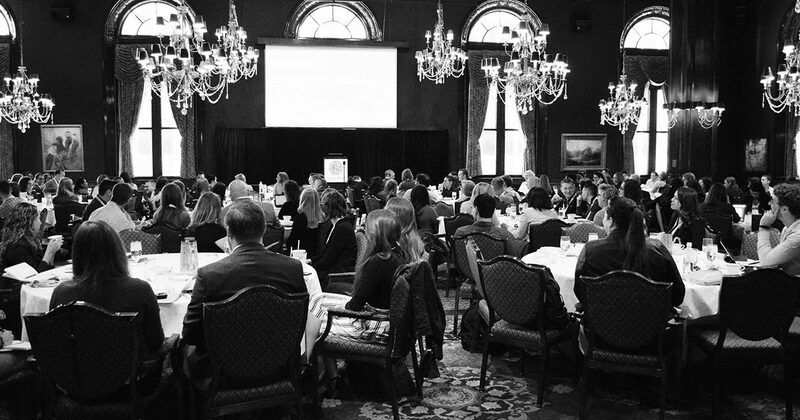 We have put together a list of 8 awesome female executives that will be joining us on stage at the Social Media Strategies Summit, NYC this year. Nilukshi De Silva, Global Brand Marketing and Digital Media Director at Urban Decay Cosmetics (L’Oréal Luxe Division). 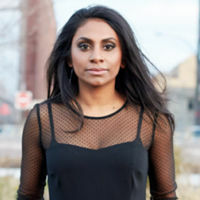 Nilukshi is an integrated marketing and digital media strategist with a passion for connecting audiences and creating content. She has 10+ years of work experience and let multiple successful social/digital campaigns and influencer marketing efforts. Before Urban Decay Cosmetics, Nilukshi worked at Estee Lauder Companies, BBDO Worldwide, Geometry Global, Publicis Consultants, OMD, Niche Media, Calvin Klein, and Conde Nast. She has led multiple companies in evolving their digital innovation, social media and influencer strategies. Along with an impressive career, Nilukshi has the education to back it up. She has multiple certificates from New York University, an MA of Arts, Global Communication from the American University of Paris, and a BA of Arts, History and Organizational Behavior from Mount Holyoke College. In addition to Nikukshi being an accomplished social media professional, she surrounds herself with charity work including her work with BEAUTYfull, a platform that encourages young women to accept their beauty and challenges gender norms and ideals of beauty. Heather Brinckerhoff, Global Social Media Manager at LEGOLAND. 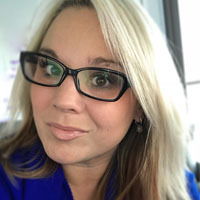 Heather is a social media marketer with over 6 years of experience managing social media for brands like Disney Parks, PlayStation, and LEGOLAND. She leads a team that oversees social media for 9 parks worldwide. Before LEGOLAND, Heather worked at Voce Communications, Florida Public Relations Association,Downtown Lakeland Partnership, Geneva City School District, and Southeastern University. 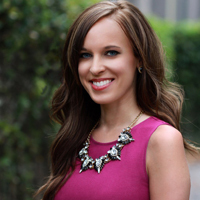 Heather attended Southeastern University and graduated with a BA of Science, Public Relations/Journalism. She has an extremely accomplished career along with her volunteer work as a wish granter for Make-A-Wish America. 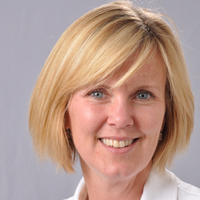 Heather is best known by her clients for building lasting relationships. Jamie is a true believer in good strategy is what connects audience, brands, and platforms. 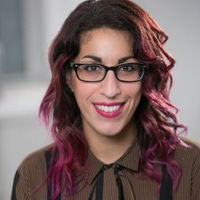 She has marketing experience for multiple Fortune 500 companies and has success running influencer campaigns, customer and employee engagement, paid advertising, and content marketing across many different demographics. Before United Airlines, Jamie worked at McDonald’s, Lightspan Digital, EDE Corporation, and CCI. 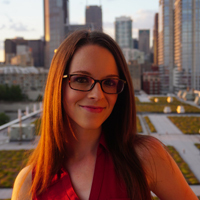 Jamie is a double major in PR/Advertising, Chinese Studies from DePaul University. A fun fact about Jamie is she has been skydiving twice! She strives to take risks in her life with bucket list items being: jump from high places, shark cage diving, and kayaking with orcas! Mallorie heads up social media efforts of the Grubhub and Seamless brands. 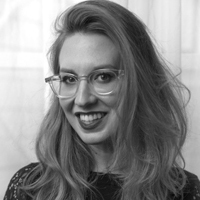 She has almost a decade of agency experience in addition to her brand-side experience. Before working at Grubhub and Seamless she worked at Pypestream, Baked by Melissa, Likeable Media, and Wegmans Food Marketing. She has a bachelor’s degree in English Communication: Journalism and Media Studies from State University of New York College at Geneseo. She is known for bringing new ideas and inspiring the people on her teams! She is not afraid to experiment with social media and likes to push the envelope to stay ahead of the curve. Check out our interview with Mallorie here. Carissa is a top c-suite level executive that is focused on taking the story to the next level for McKesson Corporation. She has a passion for social media marketing and feels like her diverse background gives her a unique perspective on many industries. Before working at McKesson Corporation Carissa has been a part of Macro Helix and Microsoft teams. She enjoys mentoring others and sharing her experience. Carissa believes that she wouldn’t be where she is without the leadership from others and is more than excited to pass along her knowledge. Maura has a self-proclaimed sociodigital anthropology obsession – it’s the study of humans through understanding their online behaviors. She strongly believes that digital connectivity can make us more human! Before Mozilla Maura was a part of the Eleven, MercerBell, Reprise Digital, UM Worldwide, Universal McCann, ARTworkSF, and Holmes Place Health Club UK teams. Her education background includes a BS in Sociology from Indiana University Bloomington, an MBA in Business from AGSM at UNSW Business School, and a Masters in Law, and is currently getting her Masters in Law, Business, and Technology from the University of California, Hastings College of Law. Along with Maura’s passion for technology, she works as a marketing advisor for the Golden Gate National Park Conservancy and LavaMae, a non-profit that provides showers for homeless people in SF through converted muni buses. Clients say that Maura is a “true explorer” and pushes against the status quo in the best ways. She was also awarded the young marketer of the year in 2012. At Away Kelsey helps to get across the idea that traveling should be seamless. 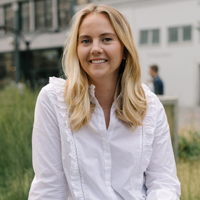 Before joining the team at Away Kelsey worked at Neal Beckstead Studio, We are Social, Aspen Skiing Company, UBS Wealth Management, The Dilenschneider Group, and Tibi. She has a BA in Economics and Psychology. Her clients beam about her drive and sunny personality. Kelsey knows the importance of being authentic on social media and strives to bring people together through stories that are relatable. She also shared that Away plans an international trip every year with the entire team (check out the #AwayOOO hashtag to see these amazing trips). Jennifer has over 20 years of marketing experience from companies all over the globe. However, her main passion lies in women’s health. She not only works as the segment leader in GE’s Women’s Health Ultrasound business but strives personally towards a healthy life. Jennifer has held many positions within the GE Healthcare team and is the president for GE Elfun Volunteers who lead community outreach to elderly, school children, and environmental causes. In addition to Jennifer’s career accomplishments, she has won several awards including the President’s Award from GE who is for successful leadership and implementation of Oracle HR program. She also belongs to the Down Syndrome Society of Wisconsin and is an active member. There you have it: the 8 outstanding women that you have to meet at the Social Media Strategies Summit, New York this year, October 10-12. These women will be presenting their expertise across social media and content marketing! Don’t miss it.